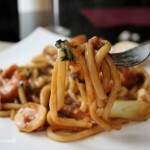 Hokkien mee is a classic Malaysian dish. However, I am calling this my ‘no-choice hokkien mee’ because I have no choice but to substitute udon noodles for proper yellow hokkien noodles. It is the closest I could get to the real thing, flavour and texture-wise. Not the real thing but still tastes great. Six ingredients come together to make this awesome party snack. 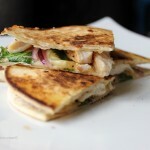 Smokey cajun-style chicken sandwiched in between two toasty tortillas, along with red onions, coriander and cheese to stick it all together. 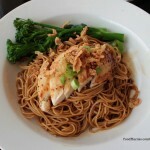 Soy Sauce Chicken Noodles is a popular hawker dish of Singapore and Hong Kong. If you are looking for meals in minutes, then this is the answer for you. Not to be confused with wanton noodles. 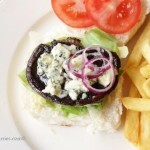 I am still on a vegetarian roll this week … who would have thought?? To be honest, it is more out of necessity than anything else, really. 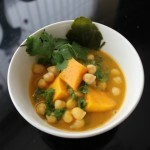 Anyway, today is a scrumptious pumpkin curry with chickpeas and kale recipe. I made this with a Thai influence, rather than a southern Indian one. Anyone who is anyone worth their salt with regard to Malaysian cooking will tell you that this is an iconic local dish. When done right it is ‘da BOMB!’, especially when there is lots of fried anchovies on top. 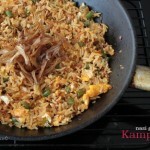 Savoury, slightly salty and very spicey, this is one of my favourite fried rice dishes. Been thinking of Deepavali back home and so I decided to bring a little Deepavali cheer to my own home by cooking up a batch of lentil patties. Perfect for vegetarians and for people who just want to incorporate more lentils into their diet. Cooks’ Club Challenge month of November : Vegetarian Meals. That is the theme for this month and I am excited to present my first ever vegetarian slider, inspired by Burger Bar right here in the heart of Amsterdam. 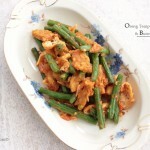 Oooh … tempeh cooked Indonesian style, with green beans, tofu and a spicy chilli paste blend. A vegetarian option for me this week; this doesn’t happen often. 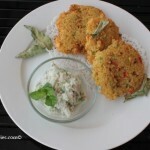 Served this dish with delicious saffron rice. Yummy! 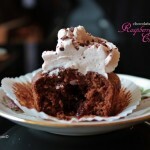 Delectable cupcakes I made because I was expecting guests … but they never showed. So I decided to play with my camera and make a blog entry about it. 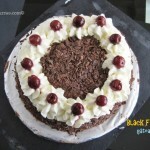 This is my first attempt at a black forest cake. No one paid for this but I did give it away to a friend. I have been eating way too much cake this week anyway.